THE opening round of the 2018/19 A-League season is shaping up as a beauty. 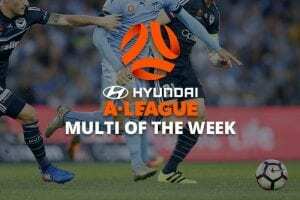 Title favourites Sydney FC kick things off on Friday night with a tricky test against Adelaide United at Coopers Stadium. The action goes up a notch on Saturday evening as Melbourne Victory and Melbourne City christen the newly rebranded Marvel Stadium with a tantalising derby date. The round finishes with a trio of Sunday games as Newcastle Jets jump the ditch to Wellington, Central Coast Mariners head up to Brisbane and Western Sydney Wanderers make the gruelling trip to Perth. 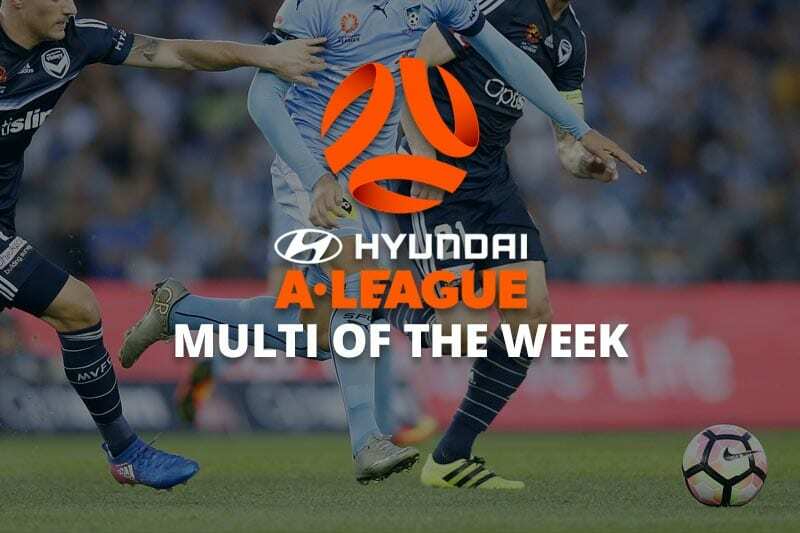 As the odds are always so juicy early in the season, we have taken a ‘go hard or go home’ approach with our first multi for A-League 2018/19. Sydney FC enter the season on a high note after downing Western Sydney Wanderers to reach their third consecutive FFA Cup final. That clash was a superb sighter for the club’s new signings, with Trent Buhagiar, Siem de Jong and Adam le Fondre all find the back of the net. That might be all we see of Buhagiar this season, however, as the 20-year-old striker ruptured his ACL in training a few days later. Adelaide United are riding a similar wave of optimism, as it is they who will play Sydney for the FFA title on October 30. The Reds have made some notable transfer moves of their own, luring Craig Goodwin and Ben Halloran back to Australia on free transfers while shoring up their defensive stocks with Michael Jakobsen and Scott Galloway. On pre-season form alone, it is hard to split these two. Adelaide’s home advantage is always worthy of consideration, but Sydney should have too much firepower. Melbourne Victory have only enhanced their reputation as Australia’s destination club with the signings of World Cup stars Keisuke Honda and Ola Toivonen. They have also added former Spain U21 rep Raul Baena, ex-Stuttgart defender Georg Niedermeier and Victory old boy Nick Ansell to a squad that bears only a passing resemblance to last season’s title winners. For Melbourne City, the big news is that Bruno Fornaroli is fit again and raring for a big campaign. They have also addressed the goalkeeping issue by bringing Mark Birighitti back from the Dutch Eredivisie, while English Premier League winner Ritchie De Laet and former Newcastle United man Curtis Good add some experience and class in defence. Both of these sides have made significant squad changes during the off-season. However, it seems the Victory have done more to combat the exit of Besart Berisha than City have to cover the loss of Arzani, Fitzgerald and Kamau, so that’s where our money is. Poor old Wellington Phoenix tried to make waves in the winter transfer market, but some half-hearted ripples was about the extent of their trading. Former Newcastle United defender Steven Taylor brings shedloads of experience (albeit primarily of leaking goals in the Premier League), while Mitch Nichols and David Williams are A-League stalwarts, but there is little to get excited about. Newcastle Jets were the A-League’s big improvers last season, so it is not surprising that they haven’t changed much. They will start the campaign without the suspended Roy O’Donovan, but they have plenty of cover in attack with Mitch Austin returning to NSW after a quiet stint in Melbourne and Brazilian forward Jair coming in from China. The last few years have been a tough old slog for the Nix, and it doesn’t look like that is about to change. Back the Jets to get off to a flyer in NZ. Brisbane Roar have made a few shrewd acquisitions since bowing out in the first week of finals last season. Tobias Mikkelsen has eight caps for Denmark to his name, Alex Lopez represented Spain at junior level and played in La Liga with Celta Vigo, and both Adam Taggart and Stefan Mauk are proven performers in this division. Everything to do with Central Coast Mariners right now revolves around Usain Bolt. While the football world speculates over whether or not the superstar sprinter will land a contract, the Mariners have signed up Scotland star Ross McCormack, Socceroos winger Tommy Oar, Kiwi gun Michael McGlinchey and many more in a bid to wrench themselves off the bottom of the table. CCM have added plenty of star power, but how long will it take this new-look XI to gel? Get on the Roar for a comfortable victory at home. Perth Glory were a constant source of frustration last term, so it should shock nobody that they have made some notable changes in the off-season. The biggest of those is in the dugout, where Tony Popovic has taken over from the embattled Kenny Lowe. Joining him in the west are Socceroos stoppers Matthew Spiranovic and Jason Davidson, European imports Fabio Ferreira and Juande, and former Wanderers man Brendon Santalab. Western Sydney have raided the Melbourne City discard pile, picking up Bruce Kamau, Nick Fitzgerland and Ruon Tongyik on free transfers. They have also brought in local lad Tarek Elrich and German playmaker Alexander Baumjohann as they look to improve on last term’s seventh-place finish. Sydney to Perth is one of the toughest away dates in world sport, not least for the first game of the season. Expect the Glory to open their account with a win at home.